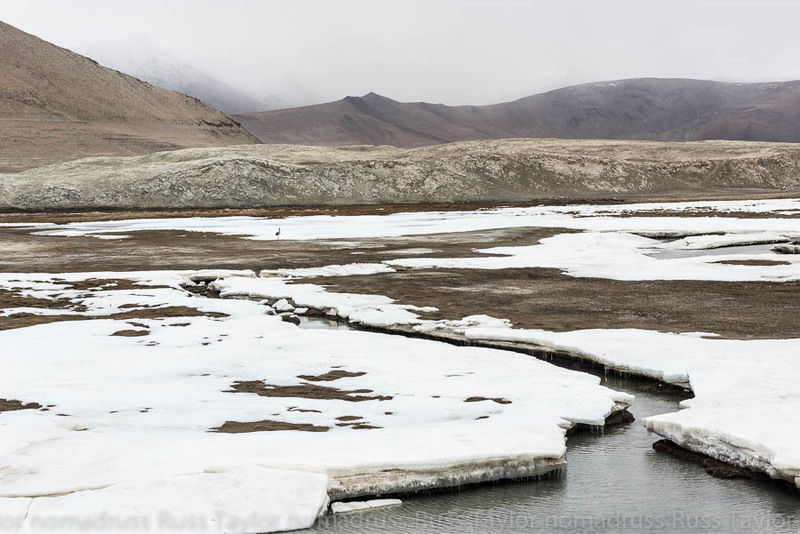 After leaving Puga, we crossed a high pass, the name escapes me just now, and made our way down to the eastern shores of Tso Kar, a salt-rimmed lake that rests at around 14,500ft (4500m). 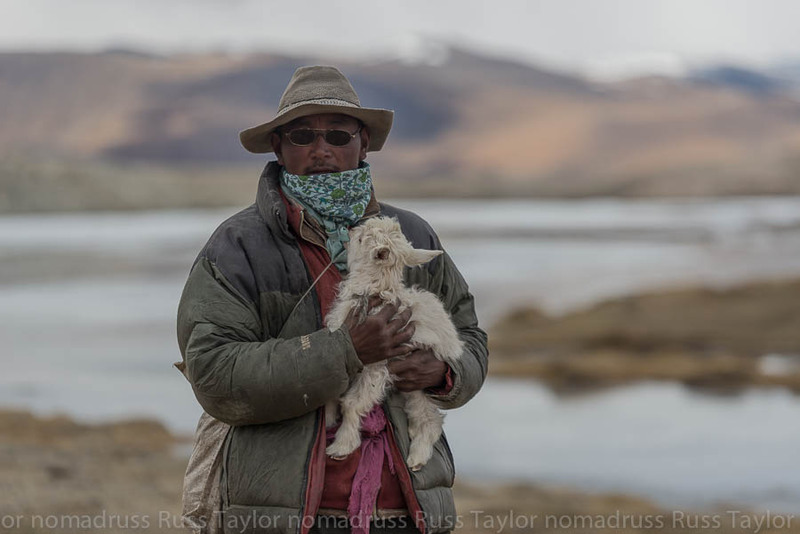 In previous days, the salt was collected by the nomads and exported to Tibet. 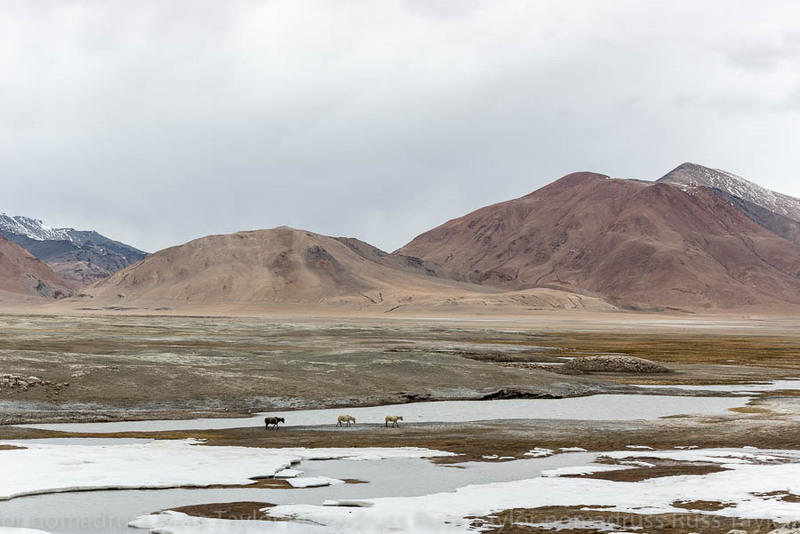 The eastern shores are home to the Rupshu nomads, Ladakhi nomads who have been inhabiting the shores of the lake since before time was counted by a timepiece. There are a few portraits of the Rupshu included in this collection. On this trip we would be treated to some wildlife encounters. 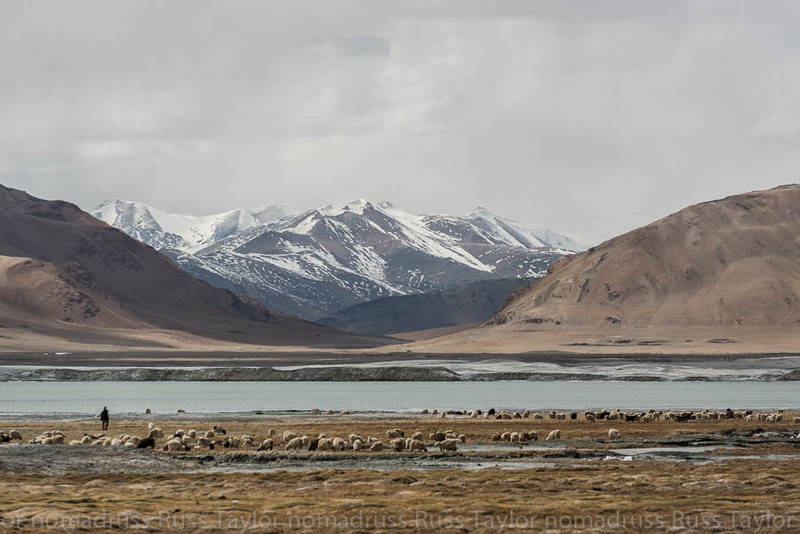 There used to be only 3 or 4 breeding pairs of black-necked cranes in Ladakh, mostly near Tso Moriri Lake, while all the rest were on the Tibetan side of the Changtang. 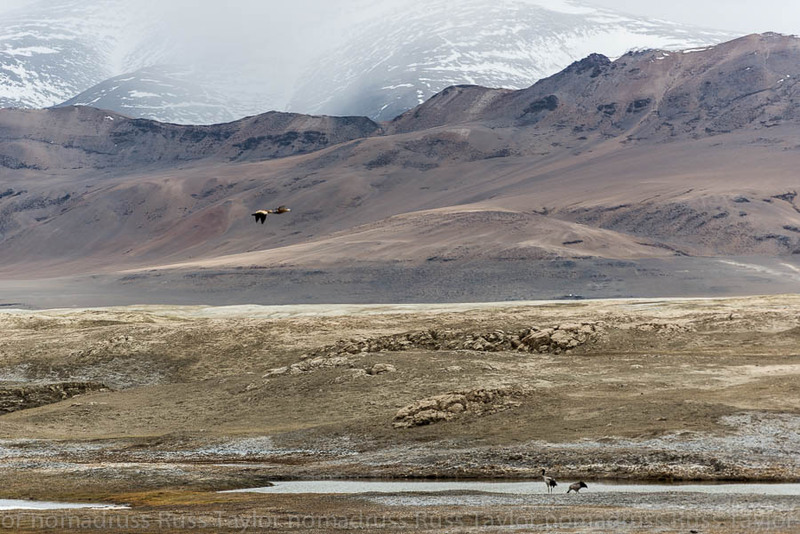 This year there were not only black-necked cranes near the Tso Kar lake, but also the ruddy shelduck. Both were found in relative abundance. A few images of them against the landscape are included here too. Two ruddy shelduck’s fly overhead, while two black-necked cranes forage near the shore. 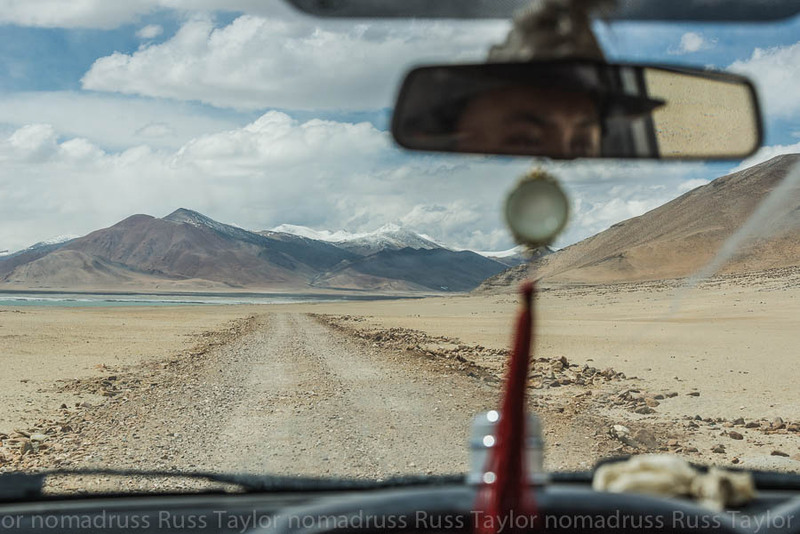 Click here to http://www.nomadruss.com/#!/portfolio/G0000k_j7pxGtJGQ see a full collection of images from north India. 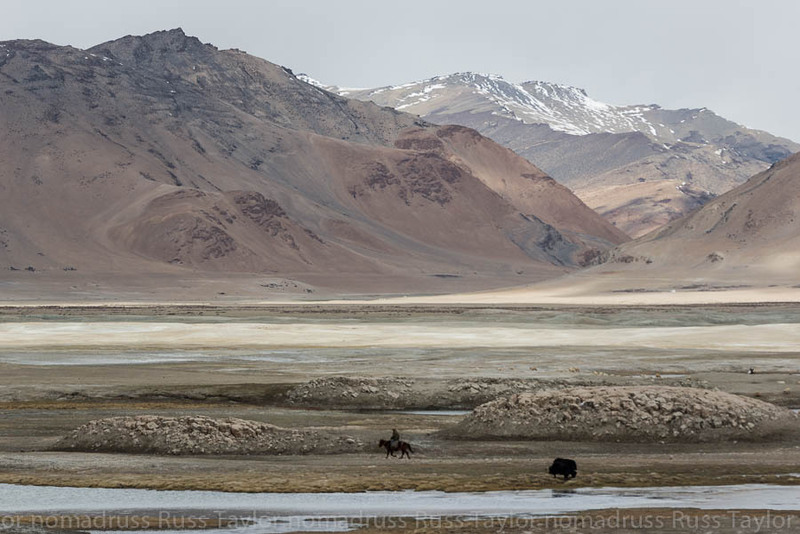 Next week we’ll take a look at the western side of Tso Kar. 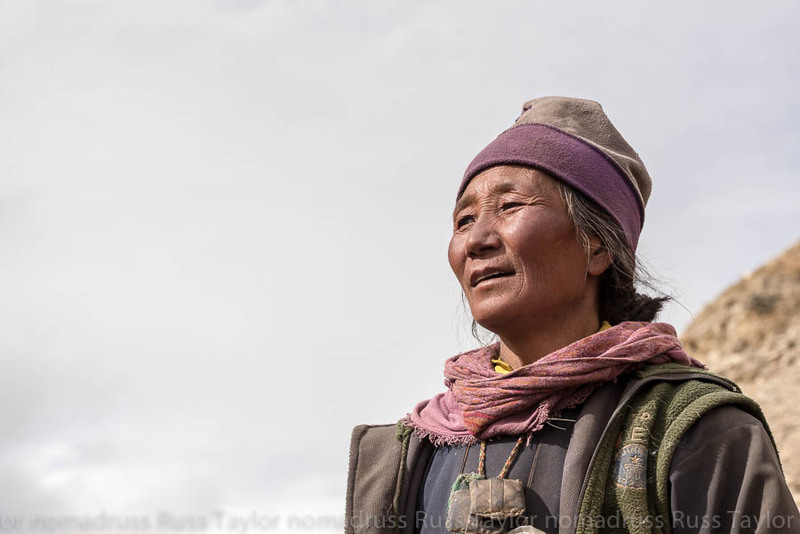 Breath taking landscapes and great portraits of the nomads. Am glad the wildlife has increased. 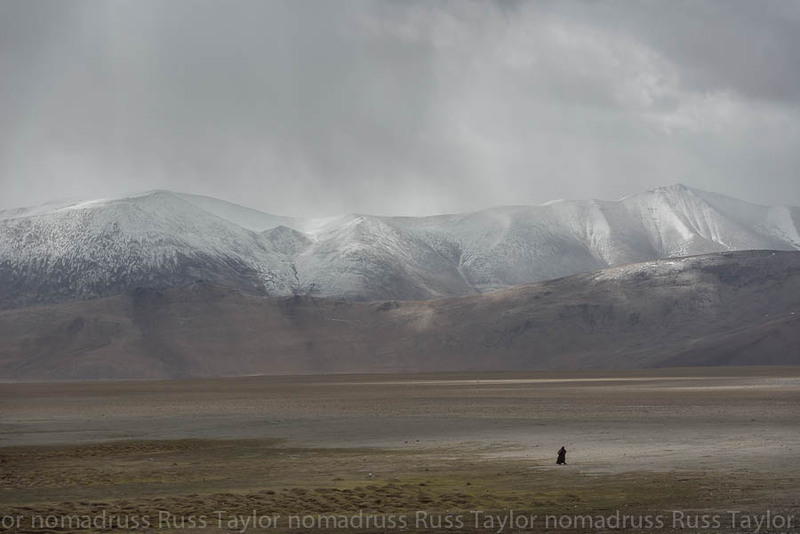 All your photos,of course, capture the solitude and isolation they live in. Thanks Lynne! The barrenness and isolation certainly adds to it’s mysterious beauty. 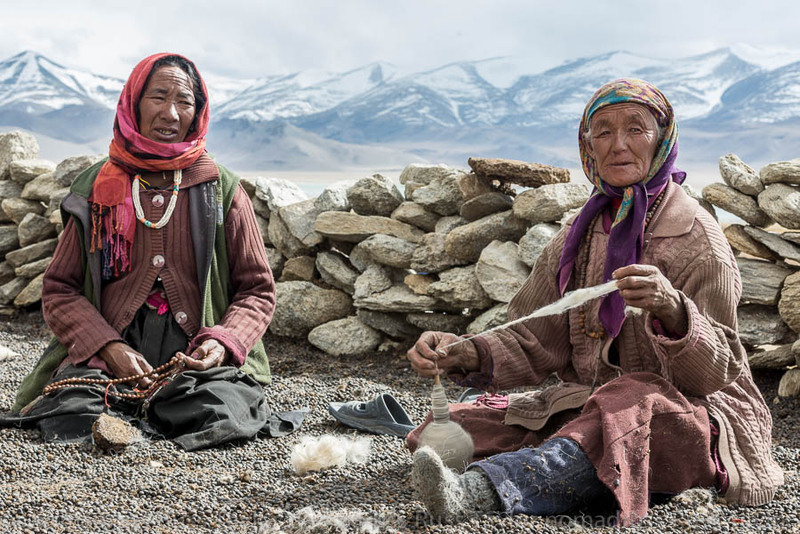 Leh-Ladhakh?? 2015, here I come! 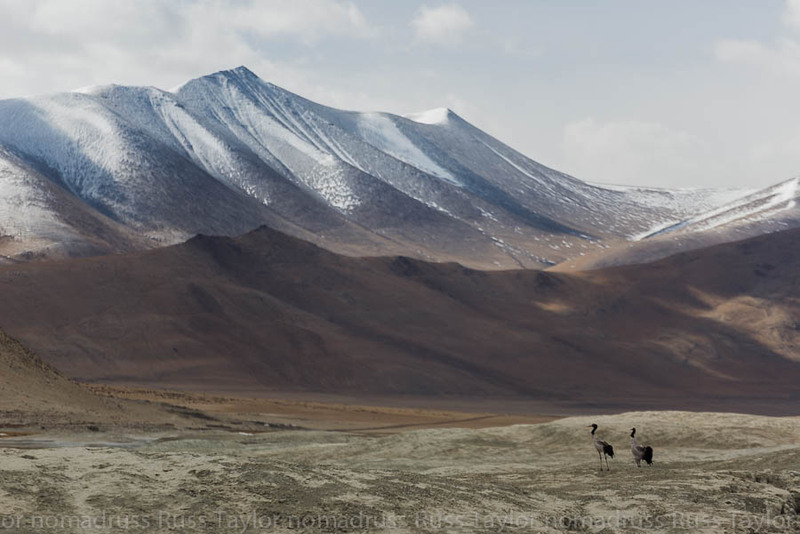 I love the photo entitled: Black necked cranes and the Himalaya. Very Asian and painting like. Beautiful. Thanks TJ, I’d never seen them at the lake before, it seems kind of surreal to see such birds in the high mountains. Your descriptions grabbed me. And your photographs are amazing. Thank you for such an eloquent glimpse into a world I may never get to see with my own eyes. Jenifer, thanks! I enjoy getting to share these places, and I’m thankful I get to travel to them. Rugged and extraordinarily beautiful. These feel so quiet somehow. The silence, when there is no wind, is utterly confounding. So peaceful, pristine, and breathtakingly beautiful. And when I look at the people, makes me inclined to believe that the first Native Americans did cross the Bering Sea, even though they say they were always on this land. Next week you’ll see some turquoise and coral jewelry that will certainly make you feel as though you’re on Navajo land. I don’t think there’s any question the peoples are cousins. Amazing photos. 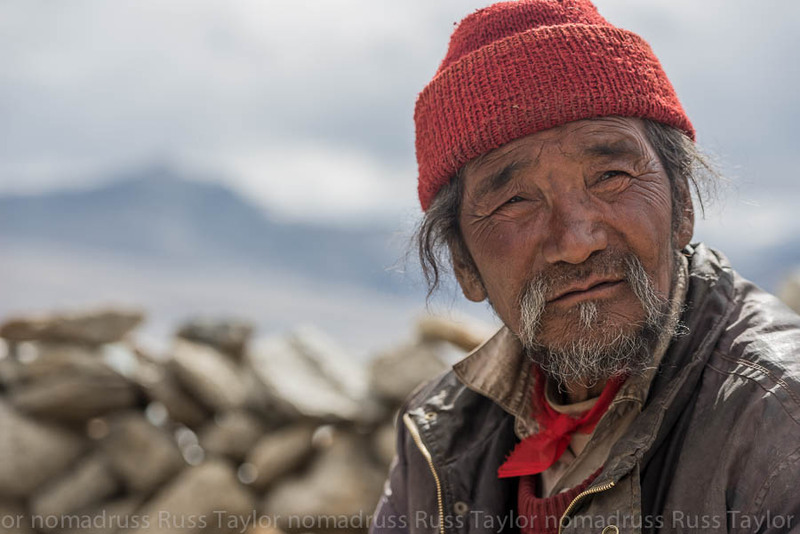 Do the nomads or anyone else on your travels ever give you a hard time about taking their pictures? If so, how do you approach them to ask? Even if people don’t give you a hard time, how do you ask them. I’ve thought about taking pictures of people in the US but would not want to offend people. I’ve thought about getting business cards with my blog so people understand I’m just reporting on my adventures and capturing those people that I encounter. Thoughts? I love your photos, they are beautiful. I also enjoy that you educate us, your followers about what exactly we are looking at (i.e. place/region, people, animals, culture). 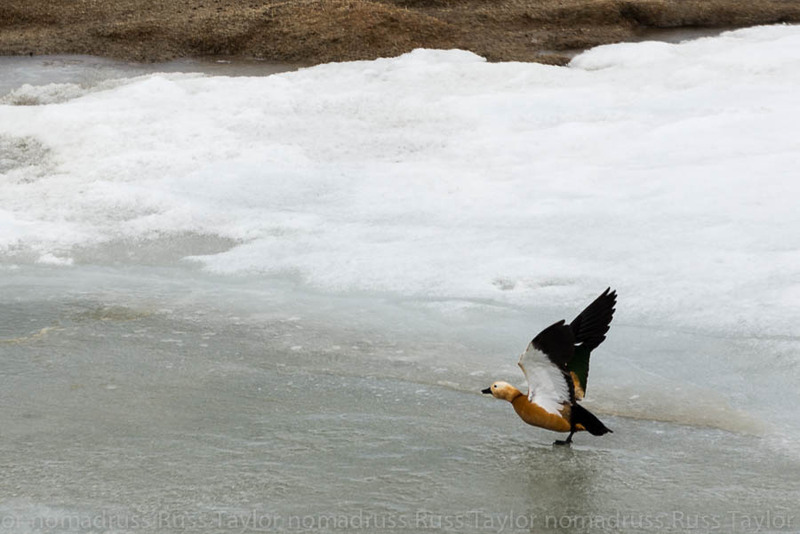 I like the image of the ruddy shelduck preparing to fly. Thanks so much, I like that people ask questions when I don’t fully explain something, as it makes me see things through the viewers eyes too. It’s fun to have a conversation around them. Thanks for the kind words! Thank you so much for the advice and watching my photos! Thanks, I definitely feel fortunate to have been able to spend time with them!